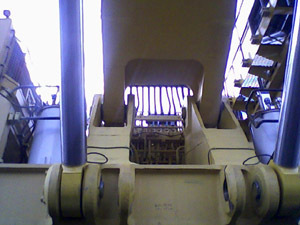 The performance of a mining excavator mainly depends on the used hydraulic system. The Hydro Space Research in Mining Equipment has developed an innovative approach for hydraulic control of mining excavators under the holistic view of the physical, technological and economic aspects. In addition to security, reliability, availability and performance aspects we focused on the energy efficiency and environmental protection as major priorities. The Hydro Space intelligent Power management concept and flexible aggregation of pump flow gives your mining excavator a new dimension of productivity and reduction of fuel consumption. Previous solutions on the market provide a rigid and predetermined priority of power distribution. Our solution, however, calculates the priority of power distribution based on a priority matrix, the current working conditions and control signals from the pedals and joysticks. 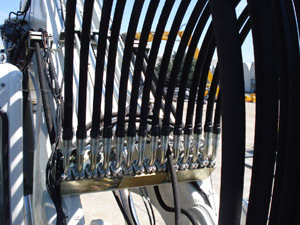 With Hydro Space flexible modular hydraulic system for mining excavators, you can simply configure your control system. The features and options may be selected for each axis Boom cylinder, Stick cylinder, bucket cylinder, traction motor and the swing motor. The control blocks are designed according to the installation conditions of your machine. Thus you achieve a significant reduction in the pipe and hose assemblies.